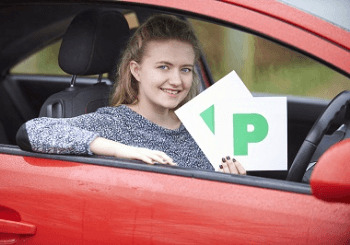 There is nothing better than passing your driving test and getting into your first car with the freedom to drive around wherever and whenever you want! Driving is a skill that will stay with you forever, however over time it can be difficult to remember what actually goes on under the bonnet of your car and it is crucial that regular checks are made to these internal mechanisms. If you’re searching for advice on what components to look for; where they are located and how to check and maintain them - you have come to the right place. Here is your one-stop guide to under the bonnet! *The car in this image is a Peugeot 108 - the location of all the labelled components will differ depending on the make and model of your car. The oil dipstick is usually located towards the front or side of the engine and in most vehicles has a brightly coloured handle for easy identification, if in doubt check the owner's manual. What is the purpose of engine oil? A low oil level can result in expensive damage being made to the internal mechanisms of the engine, don’t wait for the warning light to come on before re-filling. How to check the oil level? Park your car on a levelled surface and wait until the engine has cooled down. To check the level of oil, locate the dipstick and remove it, wipe the end clean with a dry cloth and take note the min and max markings. Dip it back in completely to ensure an accurate reading and remove again. Hold the stick horizontally in front of you, the oil level should be at least half way between min and max markings however if its below halfway it will need topping up. How to top up the oil? When topping up make sure you use the correct oil, check the owner’s manual if you’re unsure. It should give you the recommended oil for your car’s make and model; you can take it with you when purchasing the oil. Start topping up the oil gradually until the maximum level is reached checking to ensure that you don’t overfill. Start pouring the oil in and wait for it the reach the maximum level, whilst being careful not to overfill. Recheck the oil levels with the dip stick after you have finished topping up. Replace the dipstick and filler cap securely. On most modern cars the reservoir is made from transparent plastic that enables you to view the level and condition without removing the lid. Look for the standard steering wheel symbol or the words 'power steering' on the lid. It can be a costly mistake to confuse the power steering and brake fluid reservoirs so don't risk it, and if in doubt check the owner's manual for identification and its exact location. How to check the levels? First clean the lid and the outside of the reservoir and check the level with the markings on the reservoir. Although on some older model cars there is a dip stick attached to the lid that is used to measure the levels. If you have to remove the lid ensure no dirt gets into the opening. Make sure the level is between the minimum and maximum markings, however if it is close to minimum level it will need topping up. • Cold is the maximum level when the fluid is cold. • Max marking is the maximum level for when the fluid is hot. If you need to use the dip stick unscrew the lid and wipe the dip stick clean. Reinsert the dipstick by replacing the lid and turning it clockwise. Then unscrew the lid again and hold it horizontally to read the dipstick. Be sure to use the correct maximum level. If it is difficult to see the fluid level inside the reservoir, use a torch to shine some light on the top of the reservoir or inside it. The condition of power steering fluid changes over time, which is why it is important to check the colour. A normal power steering fluid colour would be raspberry red, green or light gold. If the fluid is a darker brown or black colour then have it checked by your local Howard’s dealership. How to top up the power steering fluid? To top up the fluid you will need a rag, a container of new fluid and optionally a funnel. Always check that you are using the recommended fluid, if in doubt check the owner's manual. First use the rag to clean the lid and reservoir thoroughly to prevent any dirt from contaminating the fluid. Unscrew the lid making sure no dirt gets into the opening and pour the fluid in to just below the appropriate maximum markings depending if the engine is hot or cold. The same will apply if using a dipstick, clean the dipstick with a dry cloth and re-check the level. Be careful not to overfill as this can cause damage to the power steering system. Re-screw the lid back on and wipe any excess fluid with the rag. How to identify the reservoir? The brake fluid reservoir is usually located on the driver's side towards the back of the engine. On most modern cars the reservoir is made from transparent plastic that enables you to check the level and condition without taking off the lid. Some cars will also have the standard brake fluid symbol or the words 'brake fluid' printed on the lid. It may also have the instructions on the required fluid. On some cars the brake and clutch fluid are the same, sharing the same reservoir, if in doubt check the owner's manual for the exact location and instructions. What is the purpose of brake-fluid? Brake fluid is the most safety critical fluid in the car, with its purpose to apply immediate force to the brakes while bringing your vehicle to a stop. The most important property of brake fluid is its high boiling point, this enables the fluid to perform to the maximum, especially during prolonged braking when the metal components become hotter and hotter. If you continuously have to re-fill the brake fluid on a regular basis, have your local Howards dealership check the braking system for any leaks. On modern cars check the side of the reservoir for minimum and maximum markings, the level should be between these markings. If below the minimum it will need topping up. If you have to remove the lid to check the levels, first clean it thoroughly with a cloth. Ensure no dirt gets into the reservoir as it could contaminate the fluid which can cause brake failure. Don't leave the lid off for long as brake fluid attracts moisture from the air reducing its effectiveness. Over time, due to contamination brake fluid loses its effectiveness, therefore it is important to check the condition of the fluid. Good brake fluid is usually a light golden colour; if it is a darker colour it will need replacing. How to identify the coolant reservoir? In most modern cars the coolant is poured into an expansion container not directly into the radiator. This plastic expansion container is usually placed at one side of the engine and should have a warning symbol on the cap. Don't confuse it with the screen wash container, if in doubt check the owner's manual for the exact location. What is the purpose of Engine Coolant? Do not use water alone, coolant has many important properties such as a lower freezing point for better winter protection and a higher boiling point for better protection in summer. It also prevents corrosion and the subsequent failure of internal engine components. An engine performing at the optimum temperature is more efficient resulting in better mpg and lower fuel costs. Check the coolant level once per month or before a long journey, if you continually have to fill up the coolant on a regular basis, have it checked at your nearest Howards dealership. This container is also referred to as the header or overflow tank therefore the level should be at the max markings, if below the minimum, it needs topping up. It is important to check the condition of the coolant as over time it will lose its effectiveness at protecting the engine. If the coolant is a brownish rusty colour it needs replacing. To be accurate use a coolant tester, to measure the condition and protection level and remember to only check the coolant level when the engine is cold. How to top up the coolant? 1 in 3 cars have the incorrect mixture of coolant and water, and using water alone can result in an expensive garage bill. The correct mix of coolant and water depends on the time of the year and outside temperature. In extreme temperatures, hot or cold, less water should be used. Most car manufacturers recommend a premix of 50% coolant and 50% water, as this will cope with most weather conditions. Remove the cap on the expansion tank and fill it up to the maximum level, use a funnel if necessary and try not to overfill. Replace the cap firmly and don't forget to carry some spare coolant with you in the boot. In some modern cars the washer container is hidden with only the cap visible, it is usually located to the left or right side of the engine bay, on the inside of either front wing. Do not confuse it with the coolant cap which is screwed on and displays a danger warning symbol. The washer bottle cap simply pulls off and on, and should display the standard symbol representing the windscreen and wipers - older cars may not have this symbol. What is the purpose of screen wash? How to check the screen wash level? Minimum and maximum markings for screen wash are not really needed, so chances are that the washer bottle won't have any. Simply open the lid and check the level - if not full ensure it is topped up immediately. How to top up screen wash? Take the screen wash, diluted or non-diluted and pour into the washer container until full, use a funnel if necessary. After, take the lid and replace it securely, it is recommended to always carry a spare mix of the windscreen wash in the boot of the car. That concludes the Under The Bonnet Basics for New Drivers. Remember that these checks should be carried out on a regular basis to ensure your car is running at its best. If you would like to book a service at your local Howards dealership, contact us today!